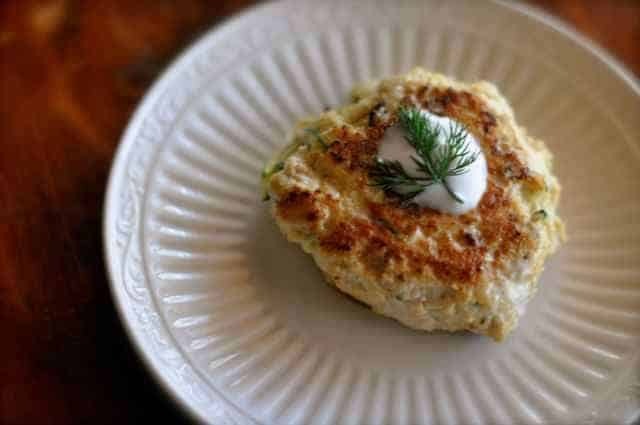 Russian Chicken Cutlets is a dish, I bet you have never had before. Ground chicken, chopped onions, shredded zucchini are an unlikely marriage, but make for a rich dish. Best of all there is very little fat in this recipe, so it is perfect for when you are trying to watch what you eat. These cutlets are not something that I grew up with, these are a dish that was introduced to me only recently through my former fiance’s mother. This is a wonderful way to stretch a low fat meat into something that tastes wonderful. If you don’t have a meat grinder, you could use ground turkey, but as you know through previous posts I have been known to grind my own hamburger before. So please don’t rule this dish out. You can make these Russian inspired chicken cutlets. 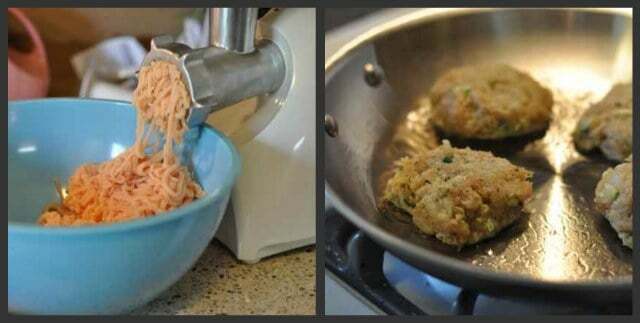 They are cutlets made of ground chicken, shredded zucchini and more. Grind chicken, in a large bowl combine chicken, chopped onion, shredded zucchini, bread crumbs, egg, salt and pepper, mix together well. Let chicken rest for about 30 minutes before forming into patties. Over a medium to a medium-high heat, cook chicken patties for approximately 4 minutes on each side, be sure to cook thoroughly. You may want to serve with a little dollop of sour cream and a sprig of fresh dill. I really like this dish, because the chicken is very moist and these reheat very well. So you can make several at once, enjoying during your evening meal, and then again on a later occasion. You might wonder what these would go well with, I like to serve these with a beet salad or even some cooked potatoes. Where is the nutritional content for these wonderful cutlets? You’re right, I’ve never had this (or even heard of it). It sounds yummy and pretty healthy too. Thanks for sharing! Perfect! I just ate one of my leftover Asian chicken burgers from last week’s post. They are soooo low in calories and have a good point value for dinner. Mine ended up being 5 points each for a 1/4 lb. burger and the recipe was really close to yours, although mine had an Asian flavor and yours Russian. Ingredients wise, they measure out about the same. I used an egg white instead of a whole egg which helps reduce fat, calories and points. I got really into ground chicken this year. It’s so versatile. Let me see if I can’t do that later! That’s a great idea.